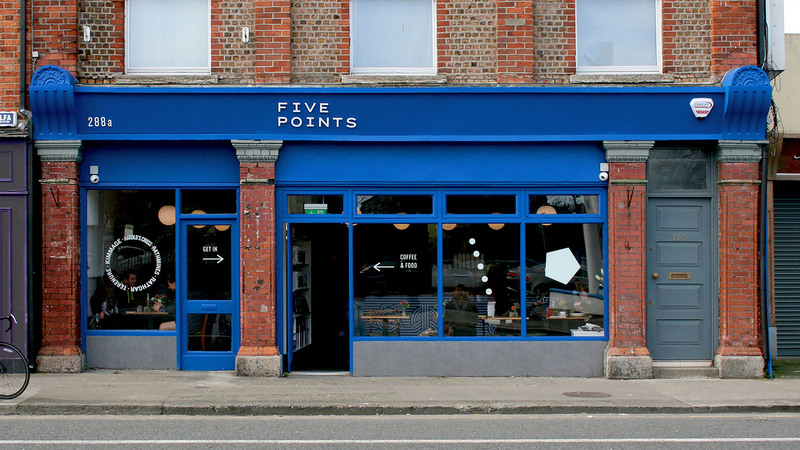 Five Points is a friendly neighbourhood café in Harold’s Cross (Dublin), taking its name from the busy junction which it overlooks. 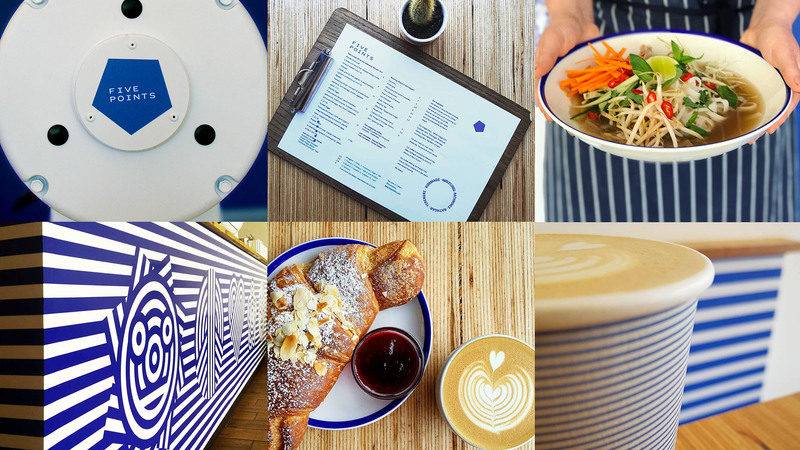 The cafe is part-owned by Colin Harmon of 3fe and Adam Sheridan, an alumnus of that venerable Dublin coffee institution. 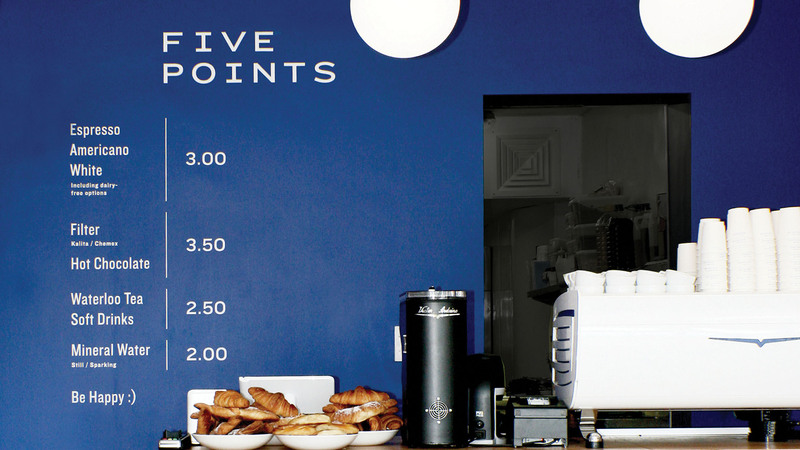 Our challenge was to create an instantly memorable brand that would reflect the care and attention brought to food and coffee in Five Points, and which would live naturally online, in print and in application on the physical space. The outcome of our process is a refined palette of elements: limiting colour to blue and white, applied in stripes, illustrations and wall paint, a refined type treatment with a utilitarian application, and decorative elements including dingbat treatments by Max Phillips. The interior space was designed by George Boyle Architects who were able to artfully apply this palette to key elements alongside their design. With a short timeline between briefing and launch (not to mention a cost conscious start-up attitude) we also wanted a iconic treatment that could easily adopt found items, including crockery, workwear and uniforms. The ubiquity of blue and white striped apparel allows the team to wear Five Points easily, allowing them to make their own choices, which reflect the informal attitude and outlook.